FansEdge, Total Gym, and Warrior Custom Golf have all been designed to cater to the needs of sports fans, one way or another. According to the Total Gym, Warrior Custom Golf, and FansEdge reviews we have received at Pissed Consumer until now, and taking into account other critical details and information related to these three online merchants we try to depict consumers’ views about them in an honest and unbiased way through this brief rundown. The table below summarizes our findings after evaluating consumer’s opinions as provided via their reviews and comments. To compare FansEdge with Warrior Custom Golf and Total Gym, we used users’ rating, the number of resolved issues each company had, their rank in the sports equipment and accessories category, the company responses, and many more. FansEdge is an online fan boutique that enables its customers to purchase exclusive, limited edition fan apparel to represent their favorite team. They offer a wide range of hoodies, t-shirts, and jerseys from top brands, such as UnderArmour, Nike, Adidas, Mitchel & Ness, and more. Their customers can custom-make sports attire related to everything from the NFL, over 500 NCAA teams, NBA, NHL and Nascar to Soccer, eSports, and Olympics, along with apparel from top NFL, MBL, NBA, and NHL players. Warrior Custom Golf develops and manufactures solely custom golf clubs for golfers at competitive rates. Each Warrior club is built to meet the precise specifications of every customer, which is one of the main differences we notice when we compare FansEdge with Warrior Custom Golf. Golf lovers can find custom drivers, fairways, irons, hybrids, wedges, putters, and accessories while they may also book a tee time at one of the company’s favorite courses. Total Gym is also manufacturing sporting goods. However, besides offering single station and full body training equipment, they also provide physical therapy equipment and home equipment. 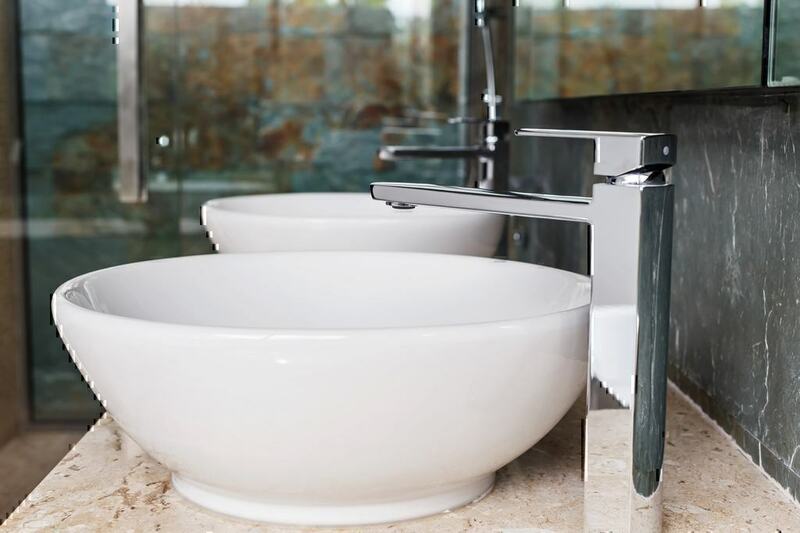 Their home page features a special section with various types of exercises categorized per body position and muscle group, as well as Pilates workouts. The FansEdge FAQs page mentions that customers have 365 days to return their product (from ship date), provided they return the merchandize in its original condition and with its original labels and tags. If you have used or worn the item, they will not accept the return, though. 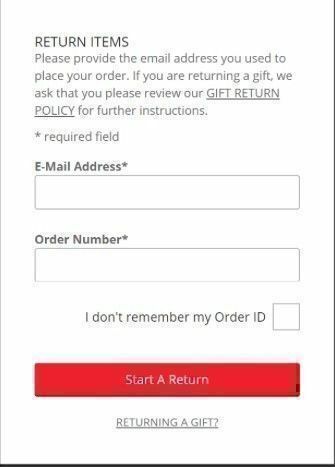 To initiate a return, simply login and provide the email address you used to place the order and the order number of the product you want to send back. We have not received a noticeable amount of FansEdge complaints about the retailer’s return policy. In the same condition as it was shipped to you. With with its original invoice (or a copy of it) or the packing list. With Return Merchandize Authorization (RMA) – Contact the Warrior Custom Golf customer service department to get an RMA. If you return the merchandize because it was defective or mis-shipped, then you will not be charged the 15% restocking fee. However, you may be subject to other charges, such as customization, handling or shipping. Now, if you want to cancel your order, then you will need to contact the FansEdge customer service number (unless it is a modified or customized item – it cannot be canceled). Finally, based on the Total Gym return policy, you have 30 days to request a full refund and send your product back to the company. In this case, you simply use the Total Gym phone number 1-800-501-4621 to have a customer support agent process your return or cancellation request and have your refund. Note that Pay in Full Home Gym orders get an extra 30-day money-back guarantee, which is highlighted in the Total Gym FAQs section. It may take up to 10 working days for FansEdge to process your return request, but once they do, you will receive a refund within 2 and up to 7 business days. 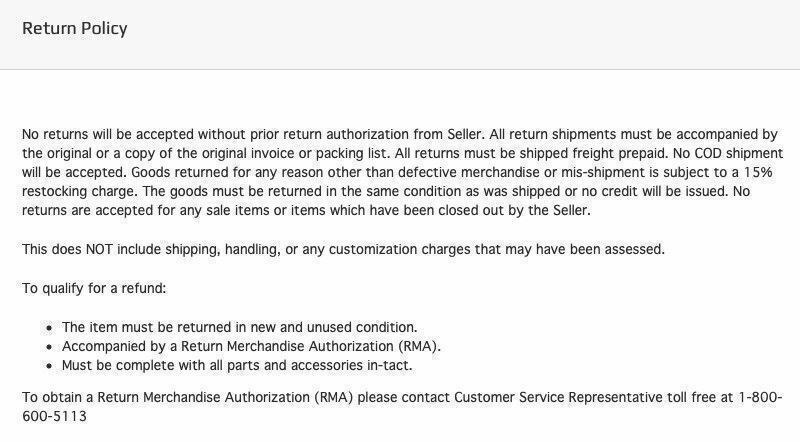 Note that the original shipping charges will not be refunded unless it is the company’s fault that you are returning the product. However, you may be given a return label that will save you $9.99 from return shipping costs. No returns are accepted after the 365-day return policy. Pissed Consumer has received a few FansEdge reviews concerning the merchant’s refund policy. Total Gym does not provide information about cancellations and refunds neither does Warrior Custom Golf. For that reason, it is recommended to contact their customer service agents. FansEdge free shipping services are not standard; instead, they are offered as a bonus from time to time. 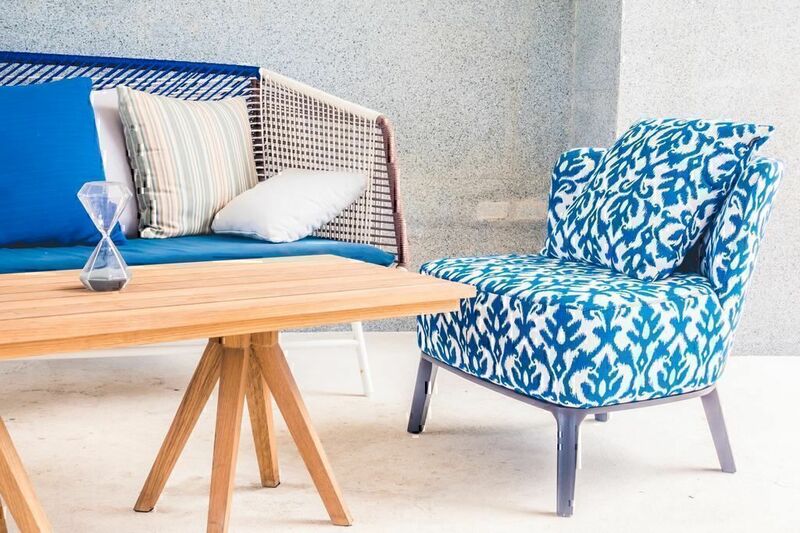 For instance, at the time of this writing, the company provides free shipping to all orders, regardless of the total order amount, within the USA. Customer will need to enter a given code to activate this offer. Total Gym, on the other hand, offers free shipping for orders $175+ while Warrior Custom Golf offers no such service – all orders come with Warrior Custom Golf shipping costs. It should also be noted that Total Gym fast shipping services were among the top Total Gym reviews left at Pissed Consumer. Total Gym’s financing page may be lacking information about the financing scheme available, but the banner on top of the screen informs of a 0% interest, $0 down payment, and 0 payments for 5 months. However, those interested should call them at 858-764-0048 for further details. Warrior Custom Golf has a Warrior Golf Rewards membership program that gives its members access to not only the best golf tools and offers but also a broad spectrum of discounted or even free tee times. To get things started, you can register as a member for a month (free trial), see if it fits you, and then go for the full membership. Once you have setup your account, you will be ready to reap the benefits of your membership. Plus, customers may also get their hands on Warrior Custom Golf free clubs after they sign-up. 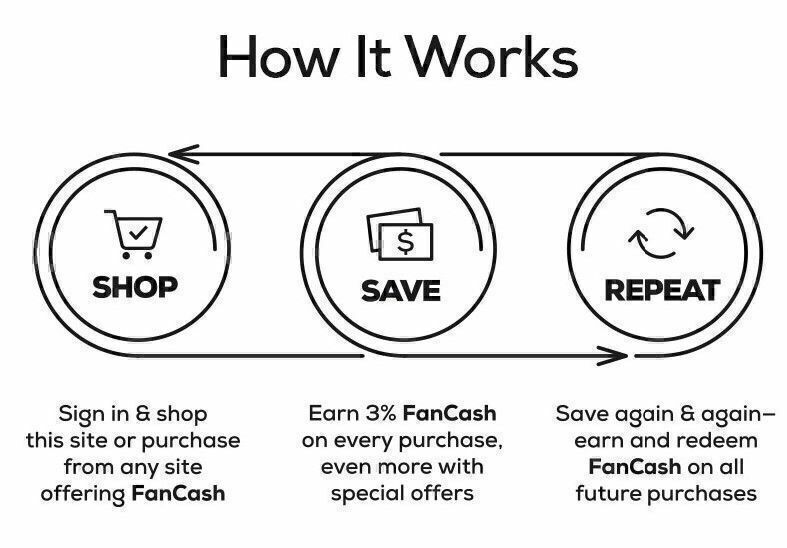 FansEdge has an Earn FanCash & Save More scheme that allows its customers to gain 3% FanCash on everything they buy from the merchant, including items tied to special offers. When they have collected enough FanCash, they can redeem it to purchase other products. If we take a look at how users have rated each company, we instantly notice that the discounts and offers of Warrior Custom Golf are more appealing to the public than its other counterpart. 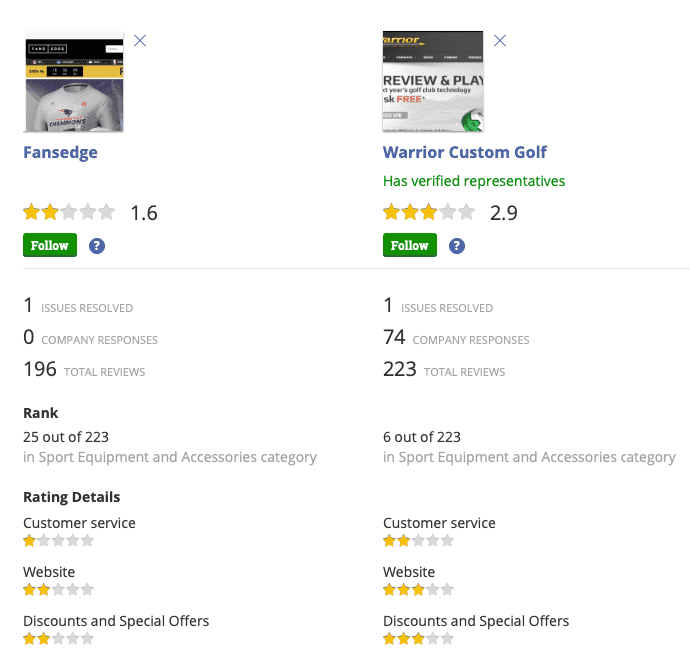 Although we have not received any FansEdge complaints about their deals, they fall behind Warrior Custom Golf by one star as seen in the screenshot below. When we compare Total Gym vs Warrior Custom Golf vs FansEdge for their order tracking methods, it becomes apparent that they all employ the same system, where you are called to enter your order number of order ID and your email or zip code. No Total Gym, Warrior Custom Golf or FansEdge complaints have been posted about the merchants’ websites and features available there. You may contact FansEdge customer assistance via the phone at 855-438-0678 (toll-free) or visit our FansEdge Contact Page for more alternatives. The Warrior Custom Golf customer service department can be reached over the phone at 800-580-8622 while Total Gym has a comprehensive Total Gym FAQs section and also enables you to get in touch with Total Gym customer support staff by calling 800-541-4900. 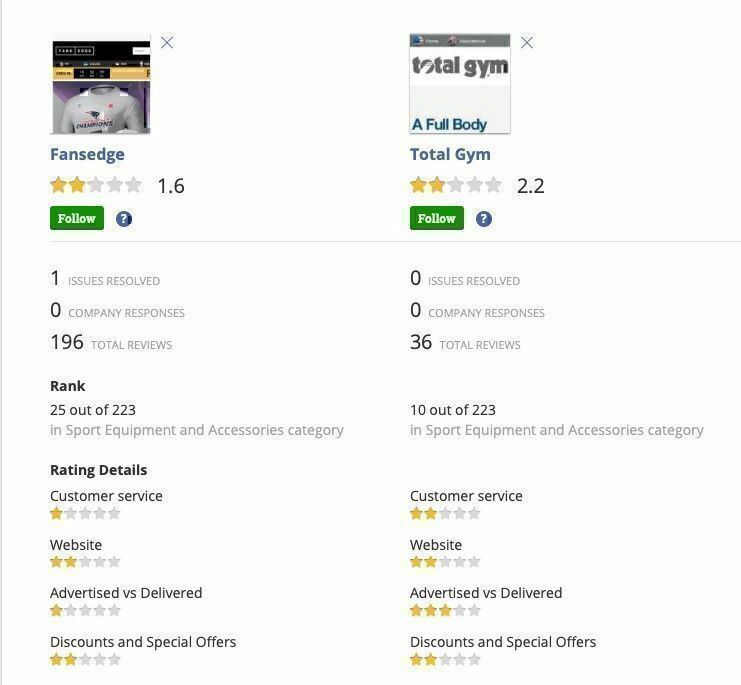 According to the majority of Total Gym reviews consumers have left on our website, it seems that the merchant’s customers are slightly more pleased with the service they receive from Total Gym than from FansEdge. It is also worth noting, though, that according to Warrior Custom Golf reviews, the online retailer has shown impressive dedication to providing consumers that were struggling with an issue or had a question with a prompt and to-the-point response (74 company responses vs 0 vs 0). 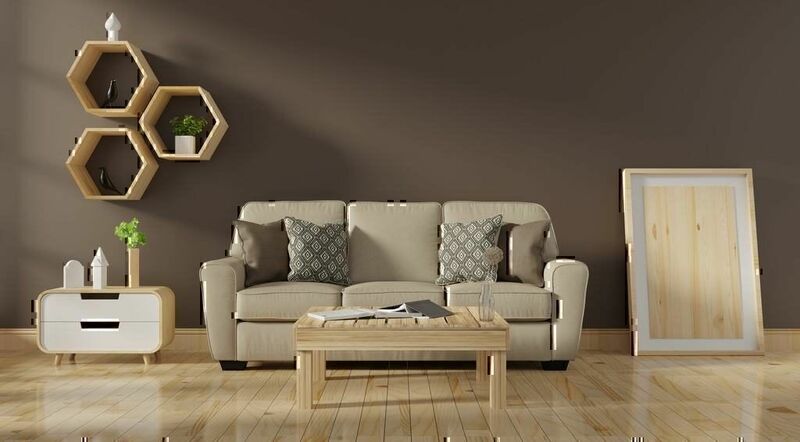 Based on the number of positive FansEdge reviews we have received, the company seems to be doing well when it comes to the plethora of products it provides its customers with, as well as the sales prices. 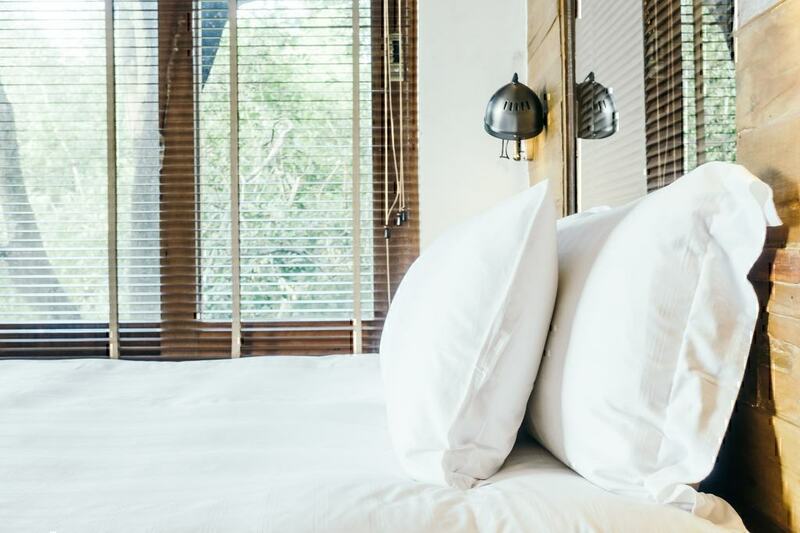 Among the most common FansEdge complaints had been the customer service and the business practices it uses, among others. The overwhelming majority of Warrior Custom Golf reviews spoke of the merchant’s nice looking clubs. However, many consumers make mentions of Warrior Custom Golf scams, which were related to false advertising promos and the way the company does business, always according to what consumers have said in their Warrior Custom Golf reviews. Among the things people liked about Total Gym was the fact that the retailer gives them the opportunity to exercise at home; something that has received several positive Total Gym reviews over the past few months. On the other hand, a portion of its customers did not like the fact that their equipment was delivered with defective assembly. There were also Total Gym complaints about the quality of customer service. 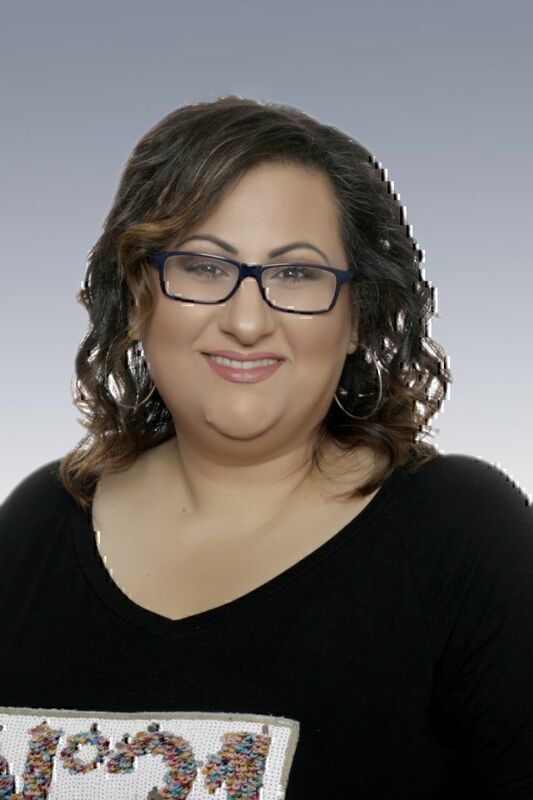 Litsa is a freelance writer focused on Travel, Cryptocurrency, and Business. Also, she is a Health and Hospitality expert. She has been writing in these fields for more than a decade while her work has appeared on numerous media outlets, including USA Money, Today, and well-respected blogs. *Disclaimer: Ranking and statistics are based on our users’ review texts and Pissed Consumer posters’ reviews. Also, a company’s rating is calculated using a mathematical algorithm that evaluates the information in the profile, including users’ rating, the number of resolved issue and company responses, etc. The algorithm is subject to change in the future.